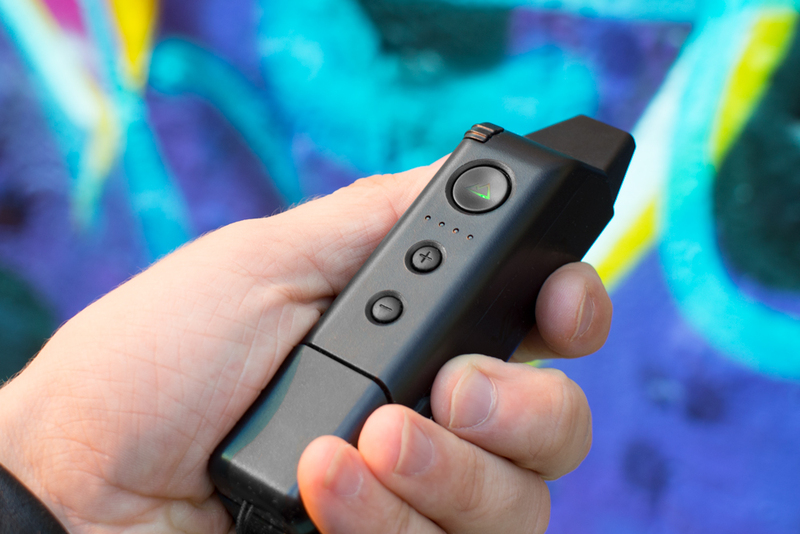 For a new generation of stoners, vaporizers are quickly becoming another must-have gadget alongside their smartphones. Bringing vapes into the tech-enthusiast fold seems like a natural progression for the industry because the perks are obvious. A connected device that wields the brains and convenience of a smartphone means a much more polished product in your hands. That’s where the Vapium Summit Plus comes in. If the Pax 3 and Firefly 2 are the Apples of the vaping world, the Summit Plus is definitely an Android. The Vapium Summit Plus definitely places function over form to appeal to those who don’t want a lot to fuss over. Operation of the device can be done effortlessly with one hand (or the app, but more on that later), aside from having to refill the small herb chamber often. It’s very portable — the unit is about the size of half a deck of cards — and weighs only 88 grams. With an IP54 rating, it can take a splash and keep out dust, but don’t take that to mean you should shower with it. 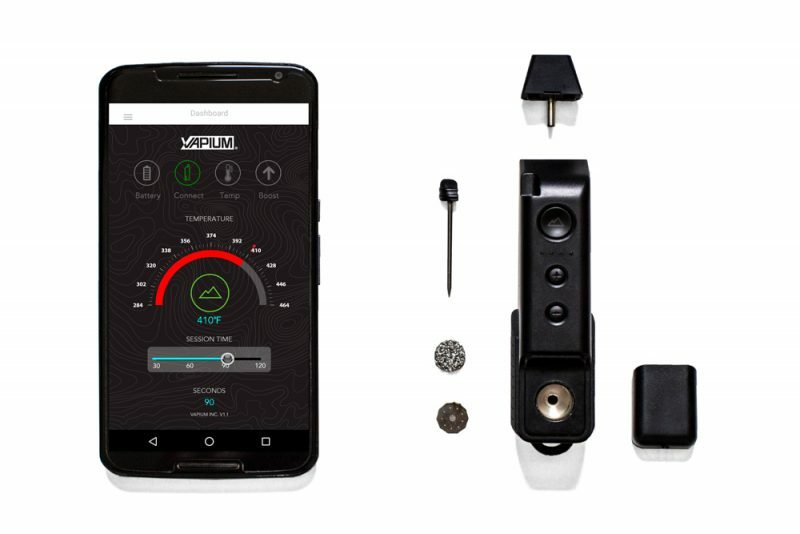 Buttons are limited to temperature adjustment and power, but for the tech-savvy, you can just use Vapium’s smartphone app to set the temperature you desire via bluetooth … in theory, anyway. For whatever reason, the app and vape couldn’t decide what temperature was what when I tried it, which led to several minutes of thermometer readings, firmware updates and cursing. It’s easier to just use the buttons, honestly. The four indicator lights represent temperature presets between 320 to 446 Fahrenheit, in eight increments of 18 degrees. Half blue is 320, full blue is 338 and so on all the way up to full red (446). Though it’s not as precise as some higher-end vapes, this is more choice than you’d get with other enthusiast darlings like the Pax 2 — and varied enough to accommodate all but the pickiest of cannaseurs. Once your vape reaches the set temperature, the mountain-shaped power light will switch from blue to green, and the vape vibrates like a phone would when a notification comes in. Whether you’re a patient managing a condition or a casual toker, performance is important — after all, one setting alone isn’t enough to get the most out of the wildly varied strains of cannabis. If you need a fast hit of CBD, the Vapium Summit Plus is probably going to let you down, as its short session times and battery life aren’t ideal for medical patients. Otherwise, the Summit Plus does pretty much what you ask of it, but only for periods of time up to 120 seconds. Just be sure to pack it correctly: If you stuff the chamber full, the heat never really seems to reach all of the material. You only need to fill it about 75 percent of the way, and lightly tamp it down with your finger. Because the vapor path is longer and made of the very conductive steel, your vapor will be cooled significantly once it reaches your mouth. While some prize nozzles like this for making vapor easier on the throat, I should point out that it might mean a less efficient delivery of cannabinoids, which is why insular materials like glass are sometimes better. Additionally, because the vapor path is narrow, you’ll be taking a fairly slow draw. You might get tricked into thinking you got nothing out of a bowl, when in actuality the hit just “ghosted” because it took so long to finish. Once your session is over (or if you want to repack) cleaning the herb chamber is a cinch. Pop off the magnetically secured lid, and use the pick tool stashed in the unit to remove the plant matter. If you want to remove the screen too, go right ahead — there’s a tab for easy retrieval, and extras in the box while the used one soaks. 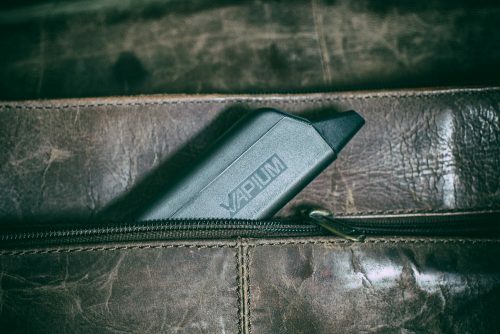 If you’re looking for an ultra-discreet, low-cost dry herb vape, the Vapium Summit Plus should be on your radar. It’s convenient, can take some abuse and performs as well as you’d expect a $150 vape to perform. But if you have a little extra cash, you may want to skip this utilitarian model to get something that provides a more enjoyable experience — it’s definitely buggy enough to give me pause. Not all users are the same, so if you have a higher tolerance, this unit’s small herb chamber probably isn’t for you. You’d be better off with something like the DaVinci Ascent for a similar amount of cash. At-home tokers may want to check out the Airizer Solo, or a desktop setup like the Airizer Extreme Q to handle your needs. There’s a very clear user in mind for the Vapium Summit Plus, and it’s no accident that other companies also offer similarly-designed portables. You could save a fair bit of money by trying out a vape pen like a Wulf Mods Titan, though the dropoff in quality is very noticeable. However, we prefer the larger (but more versatile) Pinnacle Pro if you like to use a water bubbler, or Kandypens K-Vape Micro-DX. For the same amount of money, you’ll get a vape that is much more precise in temperature (great for patients), and comes with a lifetime warranty. It’s tough to look at the Vapium Summit Plus (our review product was provided by Vapium) as a casual user and not be tempted. After all, the price is much lower than high-polish competitors like the Pax 3, and it’ll get you where you need to go if you’re looking for a quick, stealthy hit.